1) When was Ganga action plan project (gap) started and why was it started? 2) Name the type of bacteria whose presence in water causes intestinal disorders? 3) How does Ganga water pollute? List at least four human activities. 4) How do industries pollute the Ganga water? 5) What leads to the killing of fish in the large section of Ganga water? 6) What is the PH of water? 7) What are the three R’s and what they refer to? Explain in brief. 8) How does the concept of sustainable development encourage the growth? 9) Why do we need to use our resources carefully? Give at least three points. 10) What are the harmful effects of mining? 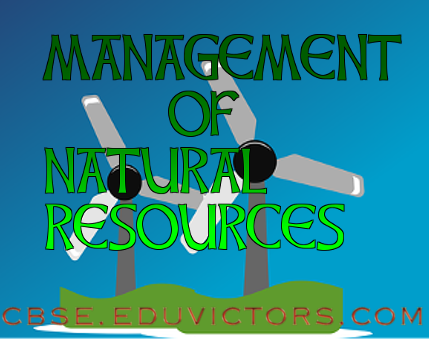 11) What is the main aim of conservation of resources? 12) To conserve the forest, we need to look at the stakeholders. Who are they? 13) Write 5 uses of the forest. 14) Name two plants which are used to convert into monoculture type of plantation. 15) Give instances where local people working helped for the conservation of forests. 16) Write a short note on Chipko Andolan. 17) What benefit we have achieved by Indira Gandhi Canal? 18) Where are Tehri Dam and Sarovar Dam located? 19) What are the disadvantages of constructing large dams? 20) What is watershed management? How is it useful? 21) Give examples of places in India where water harvesting is done. 22) What kind of structure for water stored harvesting is in level terrain? 23) What are the advantages of water stored in the ground? 24) What are fossil fuels? 25) Write a short note on global warming. 26) What are greenhouse gases? 27) How coal and petroleum are formed? 28) What happens when coal and petroleum are burnt? 29) What is sustainable management? 30) What have recharged groundwater levels? 31) Name the prominent ecologists who are responsible for Chipko Movement? 32) What is the slogan of Chipko Movement? 34) Forest is “Biodiversity hotspots”, comment. 35) What is the main purpose of rainwater harvesting? 36) Write an advantage of wind energy, also give one disadvantage. 37) How ozone layer formed in the atmosphere? What is the function of this layer? 1. Domestic wastes like vegetable peels. 2. Industrial waste like metallic canes. 39) Quote an instance to conserve the forest by Bishnoi community in Rajasthan. 40) What is the contribution of A.K. Banerjee the forest officer in the conservation of forest? 41) Why are environmentalists insisting upon sustainable natural resources management? three reasons.